I spent the first 17 years of my life surrounded by mountains in the small city of Nelson, British Columbia. Since moving away, I've visited at least once a year and I find myself appreciating it more and more. I'm always thrilled by the beauty of it, mountains, clean water and great people. Plus it's chalk full of outdoorsy things to do! In the map I wanted to include some of my favorite places as well as some heritage buildings and of course, local wildlife. I'd definitely suggest clicking on the image and seeing a larger view of it. Also, I included my mom's house on the map. It's the white one with blue trim just below Gyro Park. In fact, I found it hard not to include a hundred more places and buildings. It's so hard to be choosy. While I was visiting British Columbia this summer, I decided to whip up a sign for my dad's cottage on sunny, sandy, Savary Island. I've been going there every year for the past 5 years now. It's so beautiful! 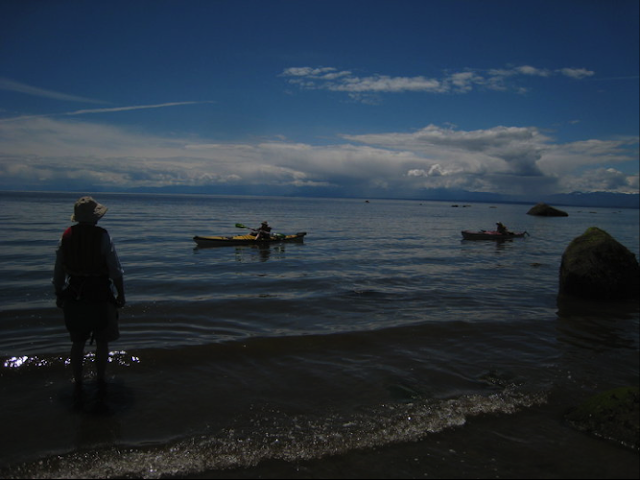 It's a great place to bike, kayak and walk in the ocean. And one of my favorite things about it is that there's no scary predators on the island (bears or cougars)! But there's plenty of other lovely wildlife. On the sign I included a humming bird and a robin (as these a plentiful). For me, August was the month of oil painting! My over the top talented sister, Kristy Gordon, taught a three day oil painting workshop in Nelson. I rarely paint in oils, and I hardly ever get to paint from a live model, so I was super excited to take it. Above is the outcome. And I must say, I'm pretty happy with it. The model, Amber, had such a great look. 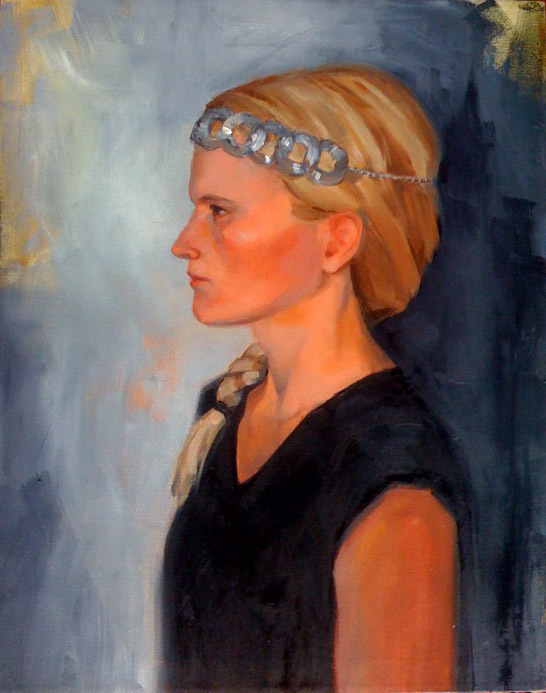 In my painting, she really looks like a proud viking woman. It feels so great to keep pushing my skills and trying new techniques. 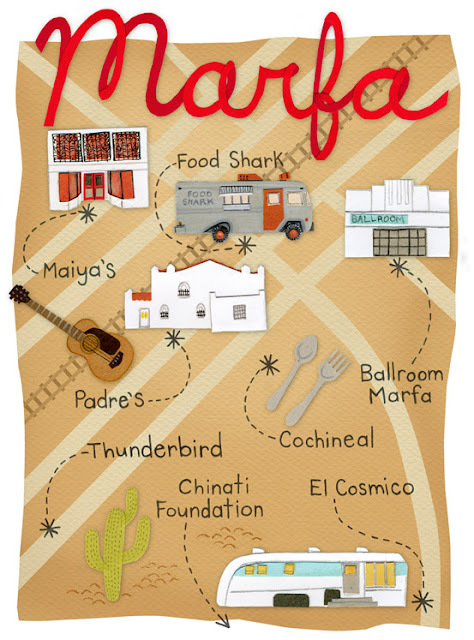 Here's a map illustration I did for Anthology Magazine appearing in their summer 2011 issue (out now!). It was art directed by the wonderful Meg Mateo Ilasco, whom I've enjoyed working with before.